James Loumiet is an accident reconstructionist specializing in the investigation and analysis of railroad and traffic accidents. He holds a Bachelor of Science degree in Mechanical Engineering from the University of Missouri-Kansas City which he received in 1988. His expertise includes train and traffic accident reconstruction, vehicle and train dynamics, train braking analysis, event data recorders, highway-rail grade crossings, and highway safety. 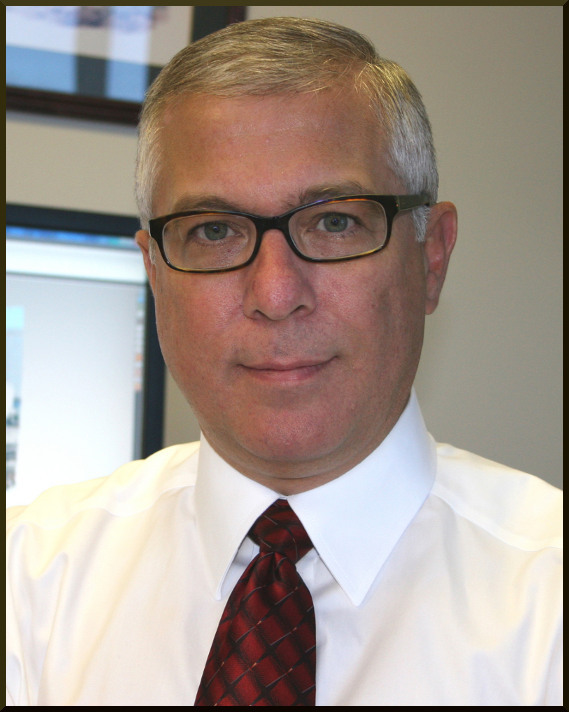 Since 1990, he has consulted on hundreds of railroad and traffic accident cases in litigation for both plaintiffs and defendants, and has testified as an expert in Federal, State, and local courts across the U.S.
Mr. Loumiet founded James R. Loumiet & Associates, Inc. in 1994 and has been its President since that time. He is also an associate of RailroadExperts.com, an association of railroad safety consultants. From 1990 to 1994, Mr. Loumiet was an accident reconstructionist with John C. Glennon, Chartered, where he analyzed and reconstructed collisions involving motor vehicles and trains, and developed accident reconstruction and train braking simulation software. From 1986 to 1990, Mr. Loumiet was with Graham-Migletz Enterprises, where he worked on federal research projects involving highway work zones, highway barriers and crash cushions, crashworthiness of highway appurtenances, and the reconstruction of highway accidents. He also participated in the revision of Part VI of the Manual on Uniform Traffic Control Devices and some of his work has been incorporated into published AASHTO policies. Mr. Loumiet has authored numerous technical papers and reports dealing with accident reconstruction, train dynamics, and highway safety, some of which have gained national recognition. He has received formalized training in accident reconstruction, vehicle and train dynamics, event data recorders, derailment investigation, train braking systems, railroad signal systems, highway design, and computer simulation of collisions. He has also participated in braking and crash tests involving motor vehicles and trains. Mr. Loumiet is a member of the Society of Automotive Engineers, American Society of Mechanical Engineers, ASTM International, National Association of Professional Accident Reconstruction Specialists, Midwest Association of Technical Accident Investigators, National Association of Railroad Safety Consultants and Investigators, International Association of Forensic & Security Metrology, and the Air Brake Association. Mr. Loumiet's continuing education includes classes, conferences, and workshops covering accident reconstruction and railroad and highway safety. National Association of Railroad Safety Consultants and Investigators, Charter Member, 1992, Secretary/Treasurer (2011-present). Society of Automotive Engineers, 1990. American Society of Mechanical Engineers, 1990. National Association of Professional Accident Reconstruction Specialists, 1990. Midwest Association of Technical Accident Investigators, 1993.
International Association of Forensic & Security Metrology, 2014. ASTM International, 2010; Past Member, Committee E34-Occupational Health and Safety, Subcommittee E34.45-Occupational Health and Safety in Railroading, 2010-2016. American National Standards Institute, Past Member, Committee A10.36-Railroad Safety, 2002. National Association of Railroad Safety Consultants and Investigators, Outstanding Service Award, 2002. 1. "HVE Vehicle Dynamics and Collision Simulation Software Demonstration", 22nd Annual Meeting of National Association of Railroad Safety Consultants and Investigators, Indianapolis, IN, October 2013. 2. "Entrapment Issues at Highway-Rail Grade Crossings", 21st Annual Meeting of National Association of Railroad Safety Consultants and Investigators, Chicago, IL, September 2012. 3. "Using GPS, Cellular, and Timekeeping Technologies in Accident Reconstruction", 20th Annual Meeting of National Association of Railroad Safety Consultants and Investigators, Bloomington, MN, September 2011. 4. "Mathematical and Computer Modeling of Train Propulsive and Braking Operations", 19th Annual Meeting of National Association of Railroad Safety Consultants and Investigators, Atlanta, GA, May 2010. 5. "Laser Scanning & Virtual Reality for Data Collection and Analysis in Transportation Accident Reconstruction," SPAR 2010 3D Imaging & Positioning Conference, 7th Annual Meeting, Houston, TX, February 2010. 6. "Analysis and Comparison of Locomotive and Cab Car Derailment Potential During Collisions", 18th Annual Meeting of National Association of Railroad Safety Consultants and Investigators, St. Louis, MO, May 2008. 7. "Accident Reconstruction Using Laser Scanner and Virtual Reality Technologies", 16th Annual Meeting of National Association of Railroad Safety Consultants and Investigators, St. Louis, MO, May 2006. 8. "Railroad Accident Forensics and Investigation by Railroad Litigation Experts", 16th Annual Convention of The Academy of Rail Labor Attorneys, Washington, D.C., April 2005. 9. "Transportation Event Data Recorders and Crash Data Recorders in Accident Reconstruction", 13th Annual Meeting of National Association of Railroad Safety Consultants and Investigators, St. Louis, MO, May 2003. 10. Testimony before the Kansas House of Representatives Committee on Transportation, Hearings on House Bill No. 2045 concerning railroad crossings, Session of 2001, Topeka, KS, January, 2001. 11. "Sight Distance Issues at Skewed Grade Crossings," Sixth International Symposium on Railroad-Highway Grade Crossing Research and Safety, Knoxville, TN, October 2000. 12. "The Effects of End-of-Train Braking Devices on Train Dynamics," 8th Annual Meeting of National Association of Railroad Safety Consultants and Investigators, San Antonio, TX, May 1998. 13. "Net Braking Ratio in Train Braking Performance", 7th Annual Meeting of National Association of Railroad Safety Consultants and Investigators, Nashville, TN, May 1997. 14. "Freight Train Slack Action Effects Analysis", 6th Annual Meeting of National Association of Railroad Safety Consultants and Investigators, Nashville, TN, May 1996. 15. "Train Accident Reconstruction and Investigation", Michigan Association of Technical Accident Investigators, 1995 Fall Training Conference, East Lansing, MI, October 1995. 16. "How To Analyze a Grade Crossing To Determine If It Is Properly Engineered and Reasonably Safe", Association of Trial Lawyers of America, New York, NY, July 1995. 17. "Speed Tapes and Event Recorders in Train Accident Investigation", 4th Annual Meeting of National Association of Railroad Safety Consultants and Investigators, Nashville, TN, May 1994. 18. "Alternative Methods of Train Speed Reconstruction", 3rd Annual Meeting of National Association of Railroad Safety Consultants and Investigators, Nashville, TN, May 1993. 19. "Low-Cost Safety Improvements at Rail-Highway Crossings," 2nd International Symposium on Railroad-Highway Grade Crossing Research and Safety, Knoxville, TN, December 1992. 20. "Locomotive Speed Reconstruction for Car/Locomotive Crash Test", Operation Lifesaver, West Des Moines, IA, May 1992. 21. "Accident Reconstruction Fundamentals: A Survey of Reconstruction Methodologies and Software", Kansas State University/Kansas Department of Transportation/Federal Highway Administration, Manhattan, KS, May 1992. 22. "Forensic Analysis of Train Braking in Crossing Collisions," 2nd Annual Meeting of National Association of Railroad Safety Consultants and Investigators, Nashville, TN, May 1992. 23. "Train Braking Dynamics and Analysis," International Association of Accident Reconstruction Specialists, Kansas City, MO, July 1991. 24. "Computerized Accident Reconstruction," International Association of Accident Reconstruction Specialists, Kansas City, MO, July 1991. 25. "Application of Advanced Concepts and Technologies to Maintenance Work Zone Safety," Transportation Research Board, Washington, D.C., January 1990. 26. "Innovative Barriers for Protecting Highway Maintenance Workers," Joint Meeting of the Safety Appurtenances and Work Zone Traffic Control Committees, Transportation Research Board, Evanston, IL, July 1989. 27. "Static Analysis of Portable Concrete Barrier Connectors," Transportation Research Board, Washington, D.C., January 1988. 28. "Present Use of Concrete Barrier Connectors," Transportation Research Board, Washington, D.C., January 1988. 1. Train Accident Reconstruction and FELA & Railroad Litigation, Fourth Edition, Lawyers & Judges Publishing Co., Tucson, AZ, July 2005. 2. "Sight Distance Issues at Skewed Grade Crossings", Proceedings of the Sixth International Symposium on Railroad-Highway Grade Crossing Research and Safety, October 2000. 3. Train Accident Reconstruction and FELA & Railroad Litigation, Third Edition, Lawyers & Judges Publishing Co., Tucson, AZ, May 1998. 4. Train Accident Reconstruction and FELA & Railroad Litigation, Second Edition, Lawyers & Judges Publishing Co., Tucson, AZ, May 1995. 5. "How To Analyze a Grade Crossing To Determine If It Is Properly Engineered and Reasonably Safe", ATLA 1995 Annual Convention Reference Materials, Vol. I, New York, NY, July 1995. 6. Train Accident Reconstruction and FELA & Railroad Litigation, Lawyers & Judges Publishing Co., Tucson, AZ, May 1994. 7. "Approximating Freight Train Speed in Crossing Collisions," Accident Reconstruction Journal, Vol. 5, No. 4, July/August 1993. 8. "Classic Errors in Accident Reconstruction: Real Experts vs. Fakes, Fools, and Frauds," Journal of National Academy of Forensic Engineers, Vol. X, No. 1, 1993. 9. "Low-Cost Safety Improvements at Rail-Highway Crossings," Proceedings of the 2nd International Symposium on Railroad-Highway Grade Crossing Research & Safety, December 1992. 10. "Estimating Train Speed From Braking Distance," Journal of National Academy of Forensic Engineers, Vol. IX, No. 2, December 1992. 11. Train Braking Simulator Users Manual, Criterion Press, Inc., 1992. 12. "Energy-Momentum Method for Reconstructing Motor-Vehicle Collisions," Accident Reconstruction Journal, March/April, 1991. 13. "Energy-Momentum Method for Reconstructing Oblique Motor Vehicle Collisions with Unknown Impact Angle," An Accident Reconstruction Trilogy, Criterion Press, Inc., 1990. 14. "Energy-Momentum Method for Reconstructing Head-On Motor-Vehicle Collisions," An Accident Reconstruction Trilogy, Criterion Press, Inc., 1990. 15. "Energy-Momentum Method for Reconstructing Rear-End Motor-Vehicle Collisions," An Accident Reconstruction Trilogy, Criterion Press, Inc., 1990. 16. "The Compass Method for Determining Radii," Accident Reconstruction Journal, September/October 1990. 17. "Work Zone Safety," Institute of Civil Engineers, London, England, May 1990. 18. "Traffic Controls for Street and Highway Construction, Maintenance, Utility and Emergency Operations," Part VI, Manual On Uniform Traffic Control Devices, Draft, 1990. 19. "Maintenance Work Zone Safety," Final Report, Strategic Highway Research Program, National Research Council, Washington, D.C., November 1989. 20. "Reference Document of Work Zone Research," a research basis for revision of Part VI of the Manual on Uniform Traffic Control Devices, Federal Highway Administration, Washington, D.C., November 1989. 21. "Guidelines for the Development of an Anchoring System for the Moveable Barrier System," Barrier Systems, Inc., Sausalito, CA, March 1989. 22. "Optimum Design of Pin and Loop Portable Concrete Barrier Connectors," Transportation Research Record 1198, 1989. 23. "Feasibility Study of New Positive Protection Schemes for Pedestrian Highway Maintenance Workers," University of Missouri Kansas City, May 1988. 24. "Portable Concrete Barrier Connectors," Final Report, Federal Highway Administration, Washington, D.C., June 1987. 1. Freight Train Slack Effects Analysis-PC, Ver. 1.0, James R. Loumiet & Associates, Inc., Independence, MO, 2000. 2. Impact-PC, Ver. 1.0, James R. Loumiet & Associates, Inc., Independence, MO, 1994. 3. Train Braking Dynamics Simulator, Ver. 1.0-2.0, James R. Loumiet & Associates, Inc., Independence, MO, 1994. 4. Train Braking Simulator, Ver. 1.0-2.1, Criterion Press, Inc., Overland Park, KS, 1992. 5. BLAQ BOXX Automobile Accident Reconstruction Computer, Criterion Press, Inc., Overland Park, KS, 1988.